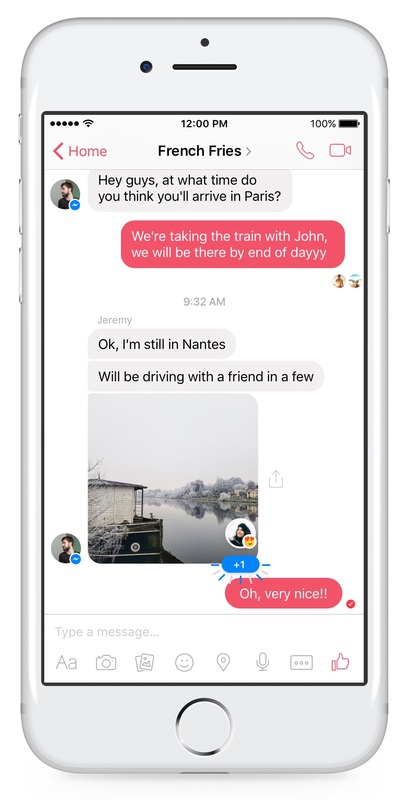 Facebook Thursday introduced two new features for its Messenger application: Reactions, which it had been testing in Messenger earlier this month, and Mentions. Reactions bring the six emoji that have been available on Facebook for mobile and desktop since February 2016—Like, Love, Haha, Wow, Sad and Angry—along with a thumbs-down emoji, but the latter does not represent the long-sought-after dislike button, with the social network telling Josh Constine of TechCrunch it refers to the new emoji as No and its intended use is for members in a conversation voting for (Like) or against proposed plans. 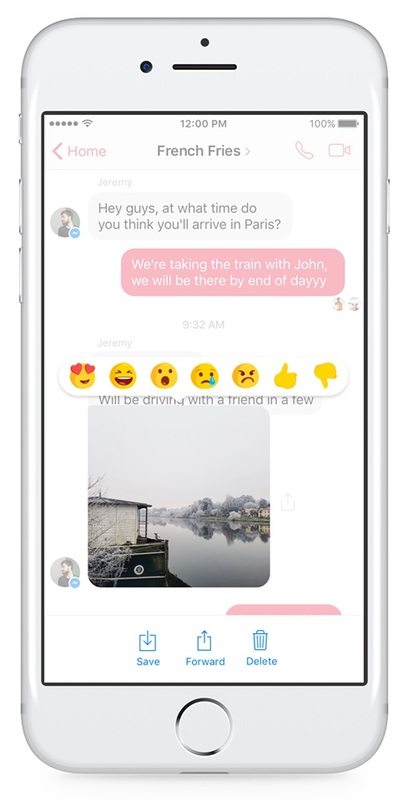 Just as in Facebook on mobile and desktop, Messenger users who wish to use Reactions can press and hold the messages they wish to react to, which will bring up the menu featuring the seven emoji. 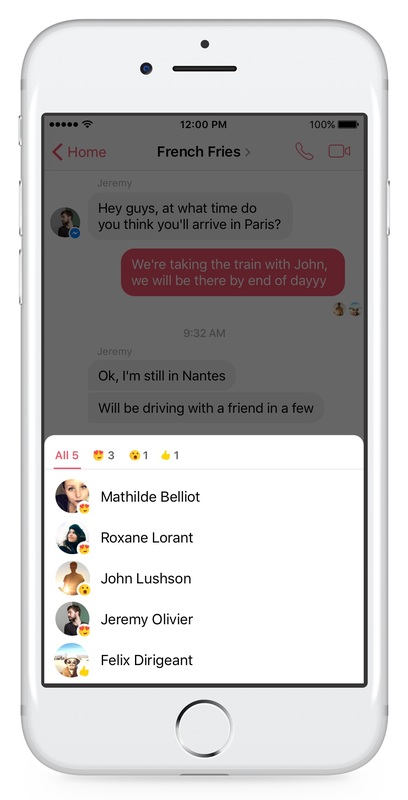 Users whose messages have received Reactions will be able to see how many people did so, along with which friends used each emoji. 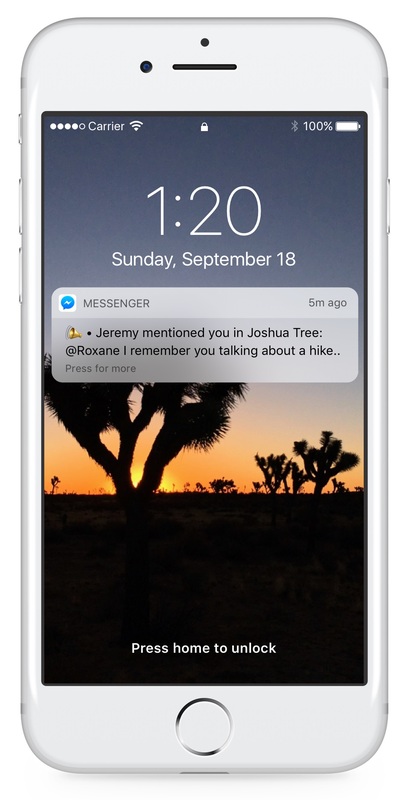 Messages that have been reacted to will display a small animation to alert users, and users who receive Reactions when the Messenger app is not open will receive notifications. 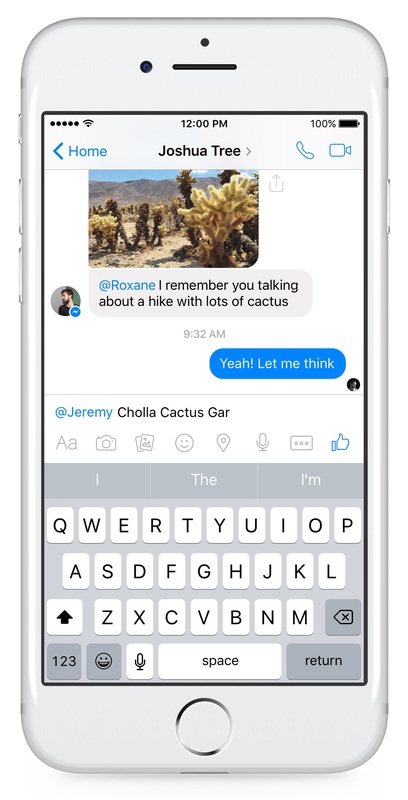 Messenger product manager Drew Moxon described the new Mentions feature as a way for users to alert their friends when they have been mentioned in conversations, and Mentions can be triggered by typing the @ symbol or the first few letters of friends’ names. Everyone in the conversation can see the call-out in the conversation, and everyone gets a notification just like before, but only the specified person in the group conversation gets a notification that they have been mentioned. You can choose to turn off these notifications at any time. The two new features will begin rolling out Thursday, and Moxon said they will also be available for Work Chat in Facebook’s Workplace offering for businesses.